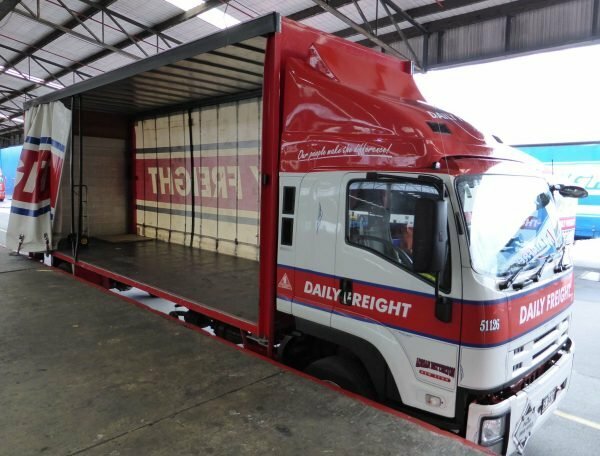 The first priority when carrying loads is to ensure that they are secured properly, whether that’s tied down with ropes, secured with canvas straps or chains, or in a curtainside truck on pallets. 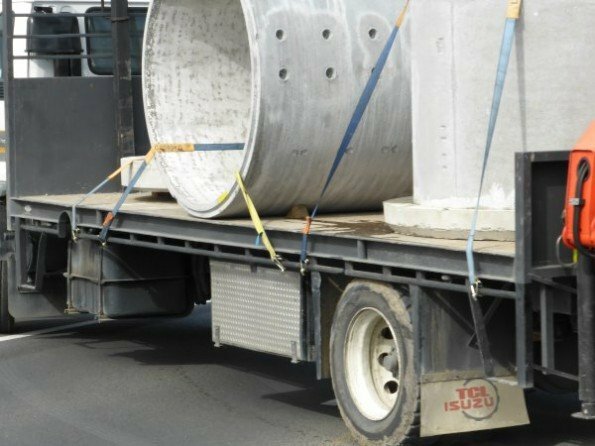 Loose loads can fall off a truck and become a hazard for other road users, plus the police will be eager to fine you if you have an unsafe load. 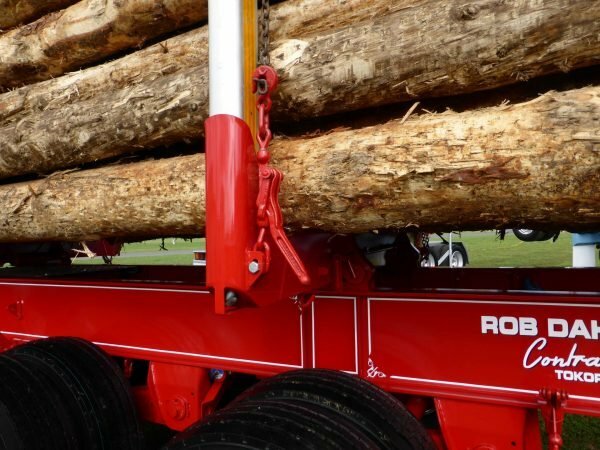 Not all loads must be restrained using fastenings. Bulk liquids are contained in tankers, and aggregates like sand are transported in a tipper truck with high sides. How can you secure your load on a trailer or flatbed truck? ISO container locks are a way of securing shipping containers to a truck’s trailer. The lock fits inside a casting on the container and they have a small lever which you turn to lock and unlock the container. The locks are standardised and in use around the world for intermodal freight. 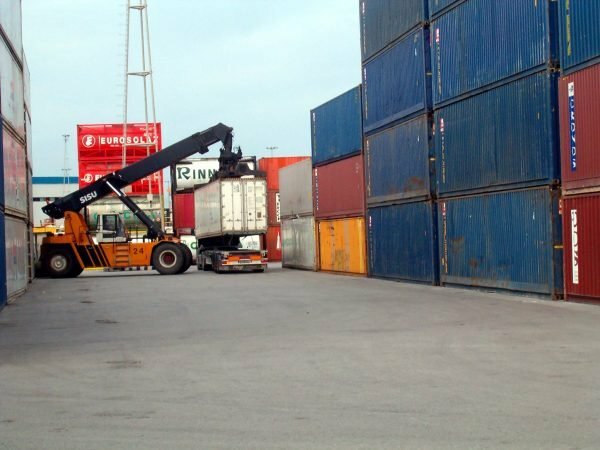 They allow containers of a standard width, height and length to be shipped around the world without being opened and repacked. 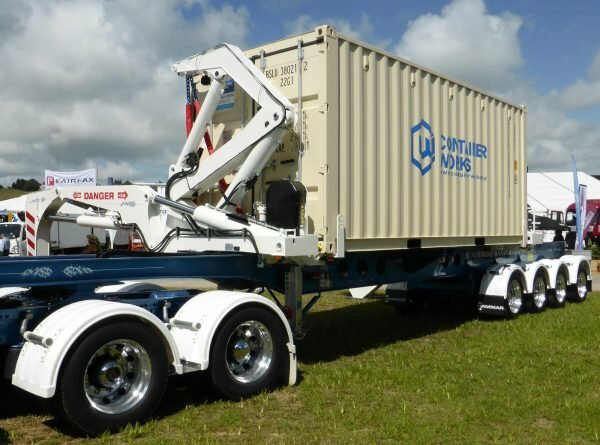 The containers are lifted onto the trailer using a crane, straddle carrier or reach stacker at the port or destination, as opposed to using a swing lift trailer (shown below) which mounts the container itself. Another advantage of this type of lock is it is more weather resistant than canvas straps and doesn’t stretch or flex like chains. 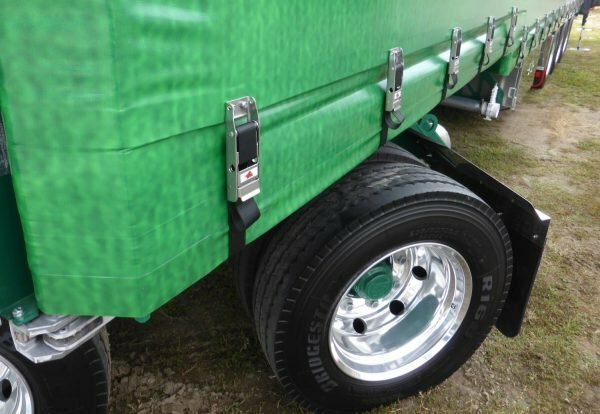 The male part of the lock (the bit that sticks up from the trailer) is susceptible to damage. 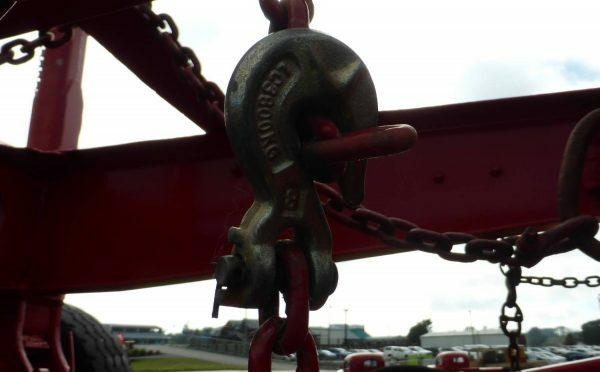 Chains are strong and abrasion resistant, but they need to be tensioned correctly using a device such as a turnbuckle or wrench binder. 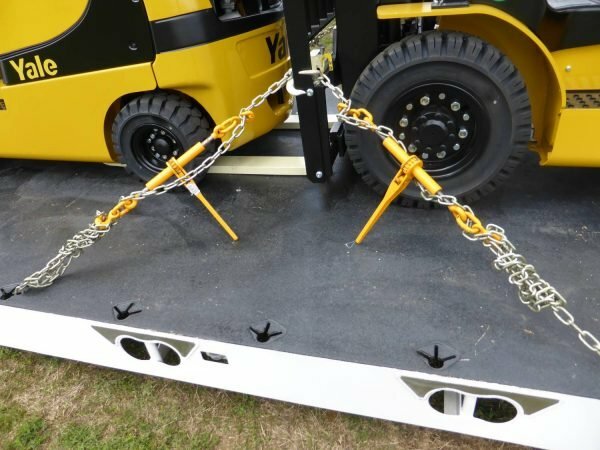 Chains and wrench binders, as shown above, are useful for securing large machinery to trailers. They must be attached to the correct attachment points on a trailer. 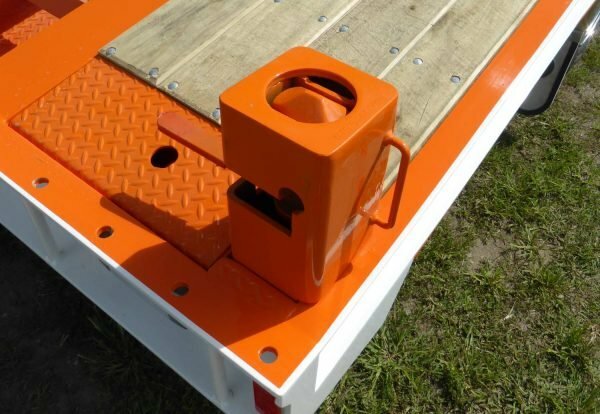 Logs can be secured in a logging trailer with chains and ratchet chain binders, as shown above. Grab hooks on the end of chains are useful for securing the chain to itself, but they can weaken the links they contact. Lashings and straps are versatile and lightweight. 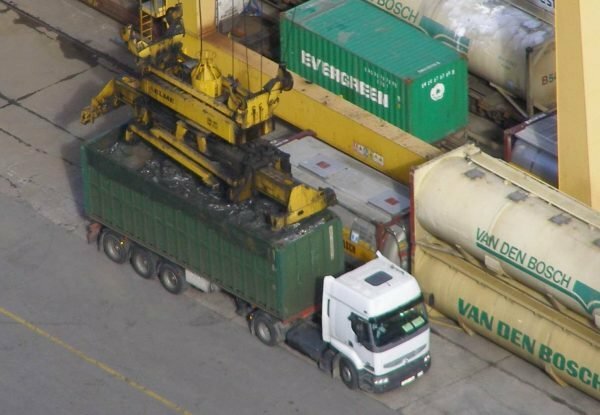 They can be used where chains could easily break goods, such as transporting concrete pipes. They can have sleeves attached to them to spread the force on the load and be more gentle on the load. 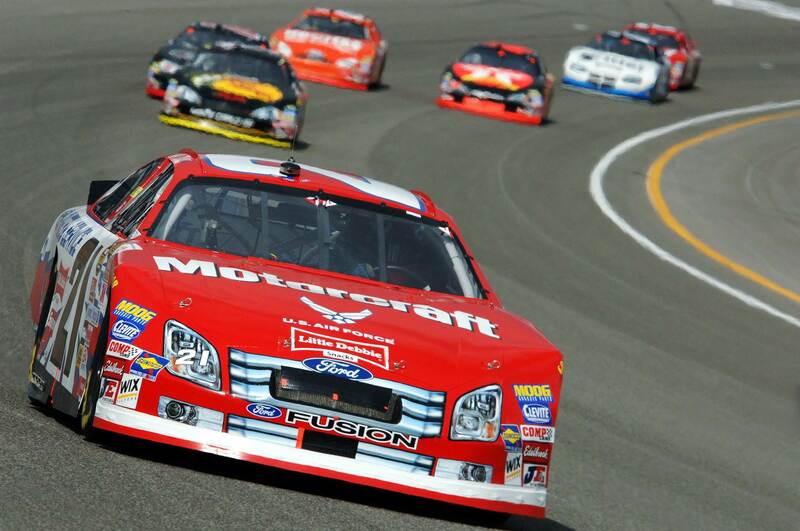 Like chains, they need to be fastened to the truck body at appropriate points so they don’t bend a rail. Ropes are not used as frequently with commercial loads now that straps and ratchets are available. Curtainside trucks are used to protect cargo from the elements. They are not used for restraining the load, though. Loads, which are usually on pallets, will be secured to the deck of the truck. Curtainside trucks are convenient for loading and unloading using a forklift truck. The curtains are tensioned using ratchets. 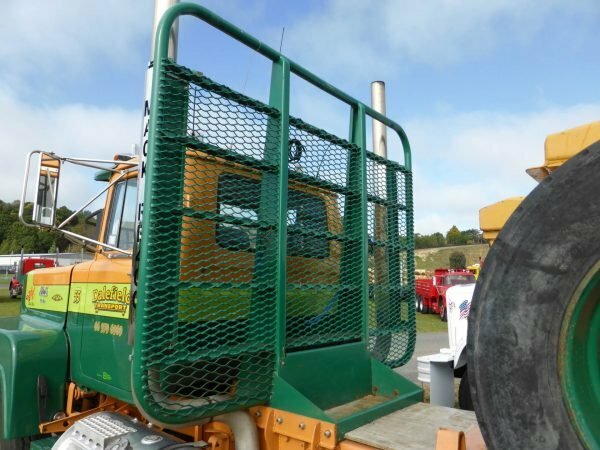 Part of the load restraint system is the headboard as this prevents a load shifting forward and crushing the cab. ‹ Why are roads often sloped and not flat? Why are roads often sloped and not flat?